Congratulations to Prince Harry and Meghan Markle on their engagement! They look so happy. Many people around the globe are celebrating their engagement because it is something that has sparked a happy chord within us collectively. I just love the name Markle – It rhymes with sparkle, and this news actually brings some much-needed glitter and glamour to life right now, combating a lot of the negative energy on the world stage that has been a source of distress in many recent months. It’s like pixie dust just sprinkled the universe over Thanksgiving weekend. To hear this joyful news, has lifted our spirits tremendously at a much-needed time. Secretly, many of us want to join in. The news was announced by Kensington Palace on Monday November 27, 2017 = a 3 universal day, which actually rules communication. The timing also fell during a 9 personal month for Harry aligning with his 9 Destiny number and a 6 personal month for Meghan, which is the vibration of love, romance and marriage and aligns with her personality number in her current name vibration. The first thing I see is the humanitarian element bringing them together in the vibration of the number 9 and it shows up 4 times in both their birth and common name numbers. They are both incredibly attracted to each other because of this common denominator, as humanitarian endeavors are not only important, but deeply ingrained in each of them from their mothers, who are and were both involved in humanitarian causes. Harry has a 7 Heart/Soul Number which makes him not only analytical, intelligent, and intellectual, but he thrives on and loves the mysteries of life. This number vibration ties into his mother’s 7 Life Path Number. The number 7 is a very mysterious and enigmatic vibration and 7’s are very hard to understand. This would explain why he floundered for so long after his mother’s death and was very depressed. A 7 soul placement can cause someone to isolate and go within and not want to talk about their feelings or emotions. To have it in this placement in his chart, indicates that he is motivated to make a true heart connection with someone who leads him out of being lonely and isolated. Enter Meghan Markle who has a 9 soul number placement, and she not only wants to be of service to the world, but to those she is closest to. She is motivated to relieve others of their suffering. And Harry recently came out of the closet this year revealing his depression over his mother’s death. Meghan has brought him the happiness he finally deserves. These two are bound by triple 2’s in their combined chart, one of which is the 11/2personality vibration belonging to Harry. Number 2 is a very emotional number, it is the relationship/love number and resonates with the energies of service and duty, diplomacy, consideration and love. Number 11 is a karmic Master Number symbolizing the principles of spiritual awakening, enlightenment, intuition and illumination. Prince Harry is such an attractive personality with this 11/2 placement, and one’s personality number reveals the public you. It is what people recognize when they first meet you. And both of them are naturally matched with their 11/2-2 personalities. They are inspired by each other. Basically, the attitude number reflects the outward impression we give when we interact with someone. Your attitude flavors your interactions and determines your behavior in relationship to your Destiny number. Your attitude is both a strength and a challenge. Managing it is the key to your success and can help you tap into abundance, success and satisfaction in all relationships. Some numbers in a numerology chart may not be a total match, but the Attitude number can be the vibration you fall in love with and can make the relationship work. Meghan 3’s Attitude is someone who gives off the impression that she truly delights in making others feel good about themselves. She is witty, funny and loves to make people laugh. She is very charismatic, friendly, charming and others are drawn to her like a moth to a flame. She observes the absurdities of life and expresses herself this way through humor. Meghan also has a 3 heart/soul number in her current and famous name, which aligns very well with her Attitude, and so her happiness shines through and through. She is a very inspirational type of woman in person and on the World stage. She is very magnanimous in this sense. Harry’s 6 Attitude is without a doubt someone who is very nurturing and caring. His mantra is to take care of everyone and is very family and service oriented. He gives off the impression that home, family, children, are his main focus. Relationships of all types are extremely important and with his natural nurturing tendencies, he is especially great with children, the elderly and animals. P.S. He let Meghan bring one of her dogs to live with them. I hope the other one makes it to their home as well. Their Attitude Numbers are a natural match and this 3-6 vibration is in what I call the Green Zone, so it’s full speed ahead for them and the road is wide open – no red lights for them. Harry and Meghan, the 3 and the 6 are attracted to each other like no other. You can’t beat a natural match combination in a love relationship, and they are a complete naturally matched couple. Harry is in a 7 personal year, and his experience this year was to masterfully embrace the power of his faith and listen to his inner voice. All year long, he has been focusing primarily on what his inner self has guided him to do. He went deep inside of himself and refocused his energies on what he truly desired. His personal year vibration was in alignment for him because it aligns perfectly with his Soul Desire Number. Getting married is a big step for him, and he has pondered, scrutinized and analyzed his life until he came to the conclusion that Meghan was the right one and as he was taking stock of his life, his personal experience this year prepared him for more exciting years to come – with the love of his life. He examined his past and made plans for his future. His Transit cycles suggest that for the past few years he has been searching for new and meaningful people in his life, which has been a free-thinking and inspirational time for him. Spiritually he dug deep and was challenged to take action. Relationships were taken to another level → Meghan Markle. Meghan is in a 4 personal year, and her experience this year was to be practical and plot and plan for her future. The vibration of the number 4 aligns with both her Life Path Number and both initials of her first and last name begin with the letter M, which corresponds to the number 4 in numerology. The vibration of the 4 resonates with the energies of building, practicality, organization, loyalty and traditional values. She may be a Leo who likes the limelight, but she most certainly is a very traditional girl at her core, and this vibration helps her to be quite practical, grounded and down to earth. This aspect of Meghan is something that appeals to Harry, who was born as an earth sign of Virgo. Her Transit cycles suggest that for the past few years on all levels she has been exposed to many dynamic opportunities – including her acting career and Prince Harry. During November Harry is in a 9 personal month. This means that he has been plotting for the last 9 months to ask Meghan to marry him and he pulled it off during an ending cycle month where things completed themselves, came full circle and the relationship came to a natural conclusion. What better time than during Thanksgiving weekend. During November Meghan is in a 6 personal month, and this was a month where the relationship aspect was the strongest for her, and her focus was to secure a bigger commitment in the area of love and romance → well she got the ring! The vibration completely worked for her, and her 4 personal year and 6 personal month were completely compatible to each other. The royal wedding of Prince Harry to Meghan Markle will take place sometime in May 2018. The date is unknown, but Meghan will be in a 5 personal year, representing change, movement and expansion in May which is a 1 personal month for her,representing new beginnings. This 5-1 vibration is a natural match for her. Prince Harry will be in a 8 personal year, representing strength and financial obligations during a 4 personal month representing structure, duty and loyalty. This 8-4 vibration is also a natural match for Harry. Kathleen Lamoureux is a Numerologist and Spiritual Intuitive from Berkeley, California with clients all over the San Francisco Bay area, England, Saipan, Sedona, Santa Fe, Denver and Dallas. Kathleen has been working extensively with numerology since 1998. Since then she has worked with and helped hundreds of clients assisting them to strategize and manifest success in key areas of importance such as love, relationships, business goals and career paths. After studying numerology for the past 17 years and seeing how it has worked on herself and so many others, she honestly feels it truly is a magical metaphysical tool that helps people understand themselves and the path they are traveling in this lifetime through the power of their numbers. 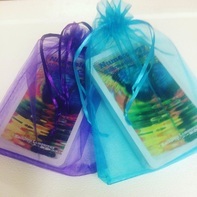 ​​Find out more about Kathleen's Numerology Affirmation Oracle Card Deck.​ ​Click for Details! Kathleen's Numerology Deck - Click for Details! © Easy Tarot: Learn to Read the Cards Once and For All! Josephine Ellershaw and Ciro Marchetti. Llewellyn Worldwide, 2007. All rights reserved.